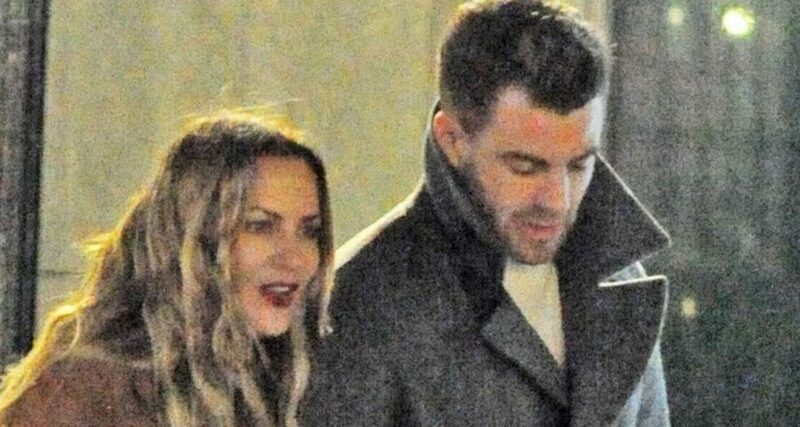 Caroline Flack is officially dating her 24-year-old personal trainer, according to reports. The Love Island host, 39, was spotted strolling arm-in-arm with the hunk on a night out in London over the weekend – just weeks after she was spotted snogging Strictly Come Dancing pro AJ Pritchard. And according to The Sun, despite the 15-year age gap, their flirtation has turned into a full-blown romance. “Caroline and Bradley tried to keep things professional but they’ve fallen head over heels and they’re now dating," the insider said. "After spending so much time together, they just fell for each other, although it’s still early days. They make each other laugh, and he’s a really nice guy. The pair met after Caroline signed up for PT sessions with Bradley, who sources say immediately fancied the star. And it comes less than two months after her tumultuous engagement to Andrew Brady, 28, finally came to a close in December. After months of rows, Andrew finally upped sticks and moved to Australia alone at the start of January. Caroline responded by jetting off on a girl’s holiday to Thailand, before snogging the face off Strictly Come Dancing star AJ Pritchard at the NTA Awards.